Andrew is Senior Managing Director for CBRE New Zealand. Andrew has over 20 years’ experience in commercial markets at senior management level, with expertise encompassing CBD office markets, major retail investments and residential land development. Andrew Stringer is Senior Managing Director of CBRE New Zealand. Andrew has over 20 years’ experience in commercial markets at senior management level, with expertise encompassing CBD office markets, major retail investments and residential land development having been directly involved in some of New Zealand’s largest property investment transactions and development projects. Andrew leads the New Zealand business and sits on the Pacific Executive Committee for CBRE. Prior to joining CBRE Andrew held the role of General Manager –Property for Precinct Properties, responsible for the investment performance of a $1.6b portfolio of office assets in the Wellington and Auckland CBD’s. 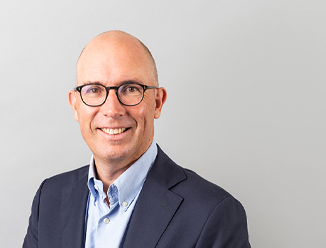 Andrew has also held the role of Manager Projects and Acquisitions for Kiwi Income Property Trust (now Kiwi Property Group) and General Manager LandcoLand Developments (now Todd Property). Until 2004 Andrew was Senior Director Valuation & Advisory Services for CBRE, leading the valuation business in New Zealand.